Put down the Starbucks PSL and pick this up. Because the Starbucks PSL doesn’t have 471% of your daily value of vitamin A and 5 grams of fiber. My point is that you can have your pumpkin spice and do something nice for your body at the same time! This recipe is for multiple smoothies because I hate having ½ can of pumpkin in my fridge. Blend one of these when you are feeling like dessert (like pumpkin pie). You don’t have to blend this – you could pour it over ice – if you don’t own a blender. 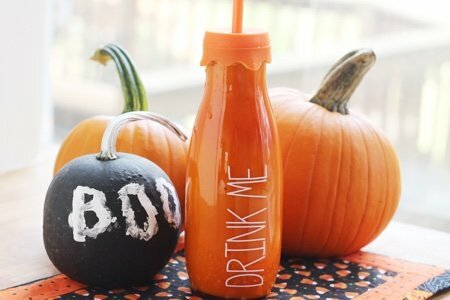 Have you blended a pumpkin drink? Mix yogurt, pumpkin, pumpkin spice, and syrup in a medium bowl. In a blender, mix one cup of smoothie mixture with ½-1 cup of ice and blend until smooth. Serve immediately. Store rest of smoothie mixture in refrigerator until ready to blend. This sounds awesome... going to make it todayand have a smoothie for lunch. I'm sure it is very feeling.. This was really tasty, but it was more like eating pudding than a smoothie. I had to add some milk to this to thin it out...it was so thick. 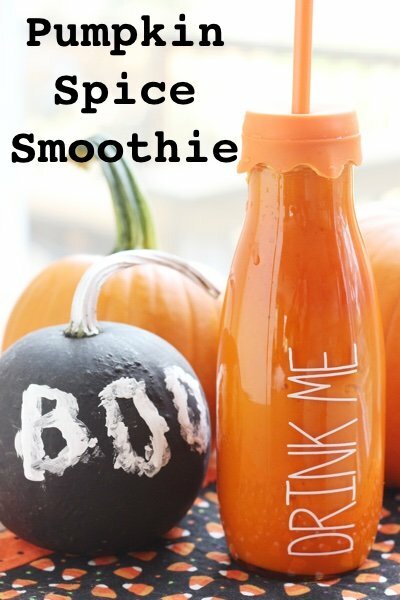 I have never even thought about a blended pumpkin drink, let alone tried one (aside from referenced Starbucks ;) I have a feeling this one is in my future, looks great. Thanks, Lisa!